Book a pre-scheduled and FREE call with me via my online booking site. If you just need to ask a question, or provide me with an update, then you can book a 5 minute free call with me during my normal business hours. You can book with me below right now using your facebook log in, or creating a private profile. 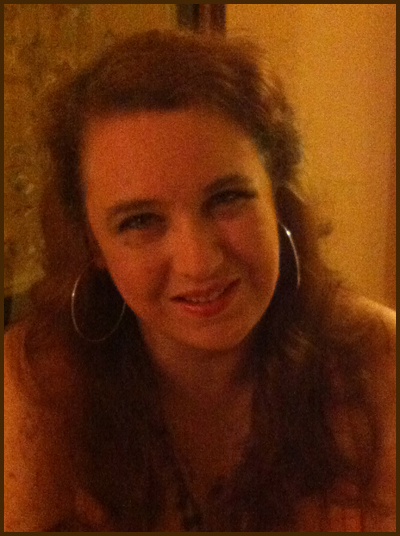 I am also available on Hoodoo Psychics, 1-888-4-HOODOO Ext 9457 at various times during the day. The rate is $3.99/min. I do not answer direct calls to my cell phone from numbers I do not recognise, however you may text me with your full name and question. Please understand, if you do not provide me with your full name or ask a simple question, I am likely to simply direct you to my booking site, where you can pre-book a call with me. E-Mail, Facebook, Cell Phone, etc etc, are not the ways that I prefer to stay in touch with my clients. If you send me an email, or a facebook message, or even just called my cell, it is likely you will not get a response. Please book a pre-scheduled call with me, to assure yourself of getting my undivided time and attention. I'm the mother of two active teens ... I'm sure you understand. All content copyright 2013 Black Cat Root Shack or used with the permission of the Lucky Mojo Curio Co. All rights reserved. Copyright means "the right to copy." A copyright violation -- copying something you do not have the right to copy -- is not "sharing." It is theft. Theft is not a victimless crime, and it is punishable by law with fines, imprisonment, or both. If you like this site, link to it -- do not steal from it. 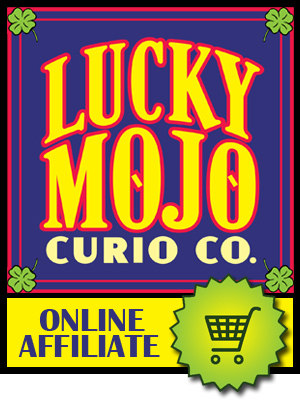 Black Cat Root Shack is an AUTHORIZED reseller of Lucky Mojo Curio Co. Spiritual Products. Lucky Mojo is the industry leader in hand-made Magical and Lucky Hoodoo Spiritual Supplies. 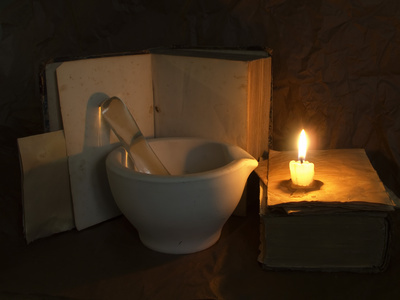 Our hoodoo practitioners include graduates of catherine yronwode's Hoodoo Rootwork Correspondence Course, a one-year-long intensive program of study of the history and practice of African-American folk-magic. Completion of this course provides proof to clients that the worker thus certified is not just an "internet wannabe," but has actually turned in samples of conjure work to be graded by a well-known (and strict!) old-school spiritual teacher, and that the work passed muster. All Black Cat Root Shack services are offered to the public with dedication and respect. All custom items are made for you with affirmative and justified prayers, in accordance with authentic, rural, down-home, Southern practices long employed by old-time two-headed doctors and spiritual workers in the manufacture of lucky, powerful, magical, and protective hoodoo and rootwork supplies for securing blessings and for protection from evil and crossed conditions, as taught in the conjure tradition. Black Cat Root Shack sells a wide variety of Lucky Mojo Brand spiritual products. See our specific listings for hand-made Alleged Money Drawing, John the Conqueror, Fast Luck, Crown of Success, Follow Me Boy, Van Van, Fiery Wall of Protection, Come to Me, Love Me, Uncrossing, Blessing, Prosperity, Road Opener, Lodestone, Court Case, Reconciliation, Essence of Bend Over, Healing, Fire of Love, Hot Foot, Chinese Floor Wash, Peaceful Home, Wealthy Way, Stop Gossip, and Psychic Vision hoodoo formulas -- all available in the form of Bath Crystals, SpiritualFloor Washes, Perfumed Sachet Powders, Conjure Condition Oils, and Herbal Incense Powders! We also sell a selection of the most popular and commonly used curios, herbs, roots, and lucky gris gris or root bags. See our store for authentic Lucky Mojo Bags, Devil's Shoe Strings, Angelica Root, Queen Elizabeth Root, Little John to Chew Root, Deer's Tongue, High John the Conqueror Root, Hyssop, Master Root, Five Finger Grass, Devil Pod, Irish Moss, Black Walnuts, Dragon's Blood Resin, Alkanet, Balm of Gilead Buds, Job's Tears, Blood Root, Calamus Root, Wahoo, Blue Flag Root, Bayberry, and much, much more.